My takeaway from this recipe? Sure ain’t pretty, and fairly sure mine didn’t “caramelize”, but it sure was delicious! It also is super fast and easy. The only down side is that cleaning my crockpot was insanely difficult afterward—I have a really old crockpot and it doesn’t have a removable piece. I’ve never used liners but might have to see if they make one for mine, because cleaning that was ridiculous. 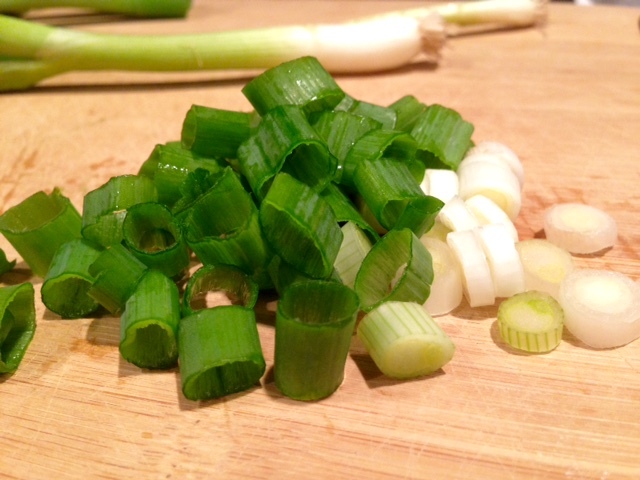 Dice up your green onions…the dark green ends and the white ends, but don’t use the pale green in the middle. Also, I’m terrible at reading directions, because these chicken breasts should have been cut into cubes first. Don’t be me. 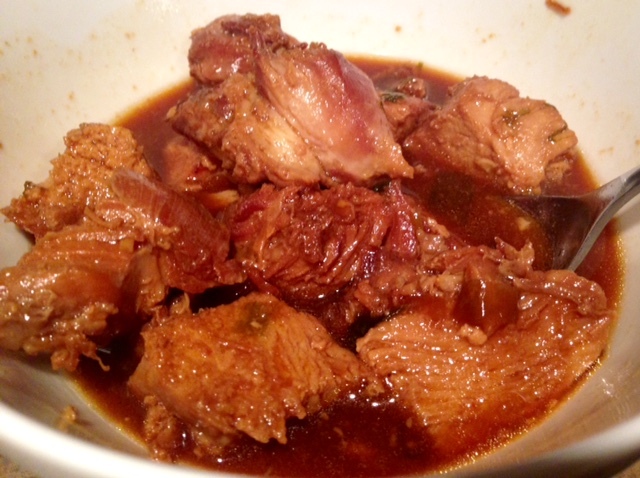 Cut your chicken into 1″ cubes and put in the crockpot, then combine all of the rest of the ingredients and pour in there. Cook on low heat for 3-4 hours, until the chicken is tender. Turn your oven to broil. 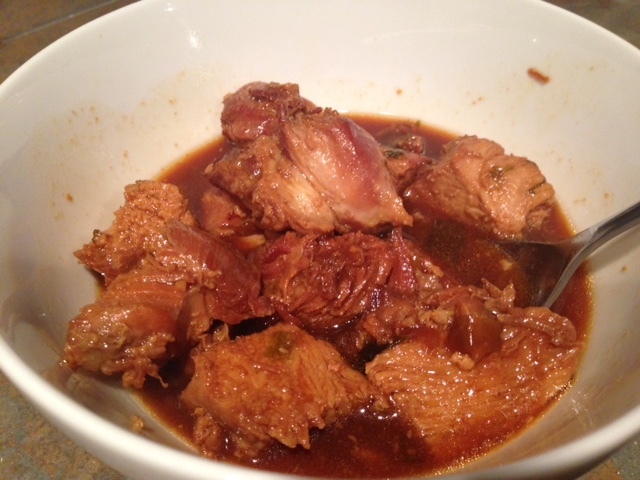 Remove the chicken from the slow cooker, lay it out on a foil-lined 9×13 pan, and cover with the liquid from the crockpot. Broil for 4 minutes, or until chicken is caramelized. Mine never caramelized, so I just did it for 4 minutes and stopped so it didn’t dry out. 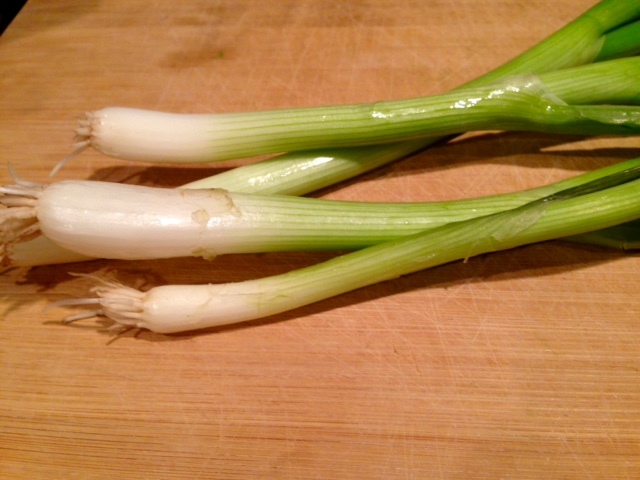 Serve by itself, on top of rice, or with Asian noodles. Add whatever sides you like. Makes great leftovers. Combine all of the ingredients in a slow cooker. 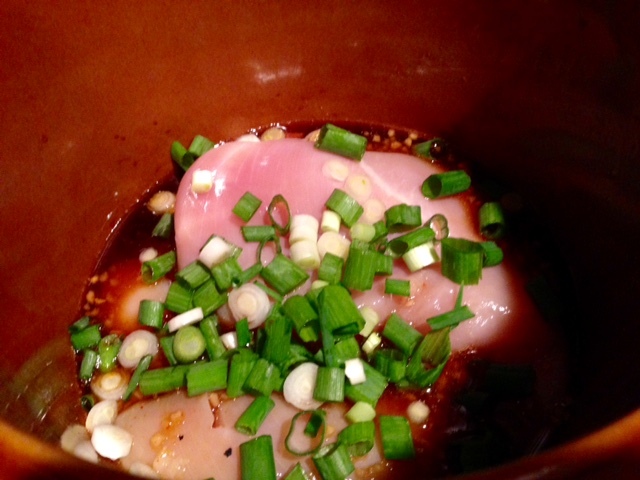 Cook on low heat for 3-4 hours, until the chicken is tender. 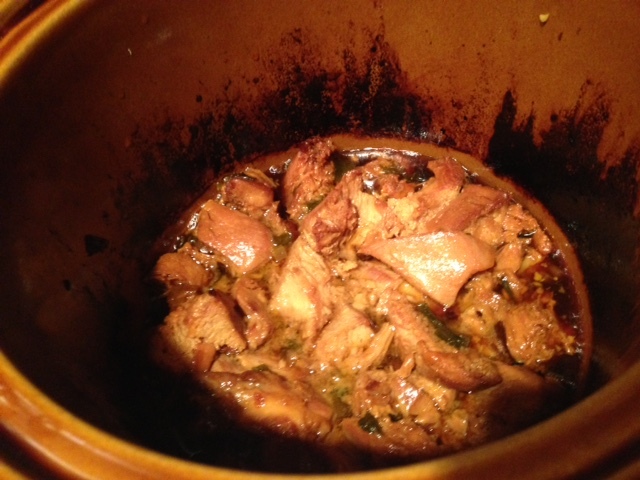 Remove the chicken from the slow cooker, lay it out on a foil-lined 9×13 pan, and cover with the liquid from the crockpot. 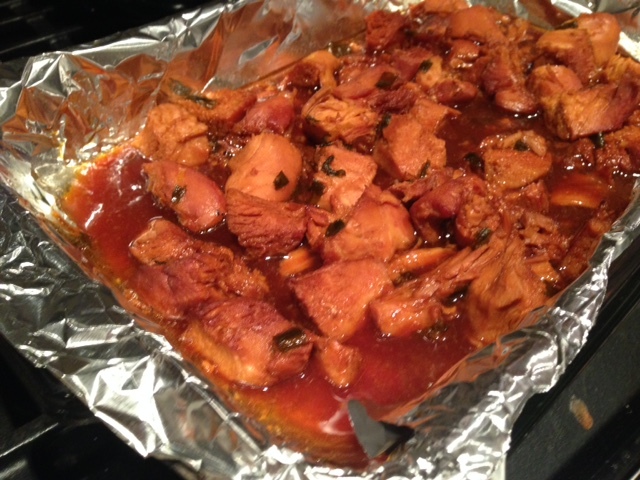 Broil for 4 minutes, or until chicken is caramelized (or just stop at 4 minutes because you don’t want it drying out). Original recipe from Skinny Ms.